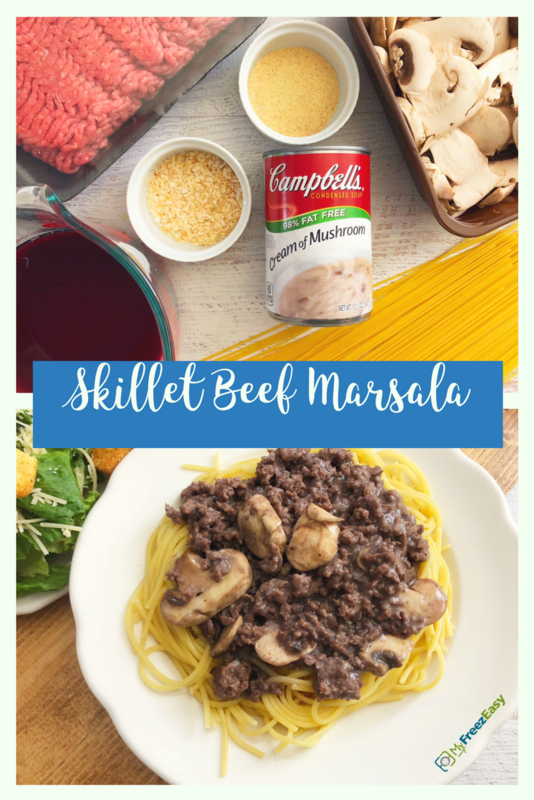 This beef marsala sauce is ridiculously delicious and the best part is that it\\\\\\\\\\\\\\\'s made with simple ingredients and does really well from freezer to table. Pour it over cooked pasta for a delightful busy weeknight dinner! Mix in the sliced mushrooms, marsala cooking wine and cream of mushroom soup. Gently whisk and let simmer for 5 to 7 minutes. Season with salt and pepper to taste. 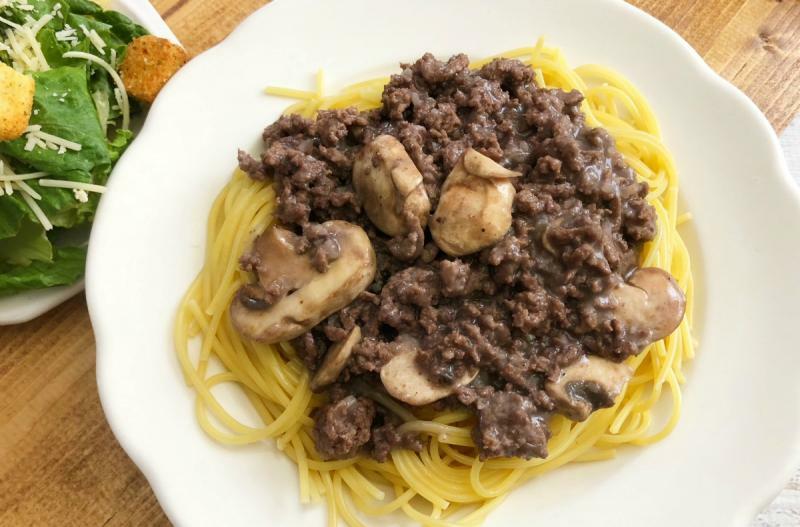 Serve Skillet Beef Marsala with pasta and side salad. Put baggie in the freezer and freeze up to 6 months in fridge freezer or 12 months in a deep freezer. Thaw in the fridge overnight, or a warm bowl of water for about 20 minutes, before transferring to skillet to reheat and cook the mushrooms. Toss with cooked pasta. Thaw and reheat and cook mushrooms in skillet. Toss with cooked pasta.